The Fr.Meachair Cup kicks off this week with two rounds being played across the competition. Group two will play their round one while Group one will play their round two to suit their group. Newly promoted side LIT will take on Munster neighbours IT Tralee in LIT later this week. The O’ Mhaolagain Cup champions are new to the Fr.Meachair Championship but have adapted very well in their step up during the Division two league campaign. Durining this league LIT managed one win over Trinity and a single point loss to AIT showing their potential among strong Fr.Meachair teams. 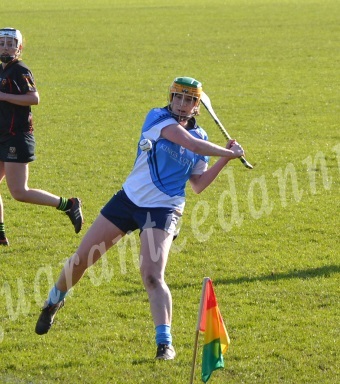 IT Tralee collected a single point during their league campaign against WIT2 but also suffered a single point defeat to UCC. Both sides will be hoping that the new format will benefit their fight to reach the CCAO weekend away and with every game a must win game the Fr.Meachair Championship will be the most competitive it’s every been. Following their 2015 loss at the hands of IT Carlow, St.Mary’s will fancy their chances to return to the Fr.Meachair final and maybe even go that one step further with the new format. The northern college had a very impressive league campaign only losing out to their Purcell neighbours Queen’s University. After their first loss against IT Carlow in the Division two league, a reformed AIT came back to win their following game against LIT by a point. After a long break from their league campaign’s both sides will be rearing to go come 2:30 on Tuesday afternoon.